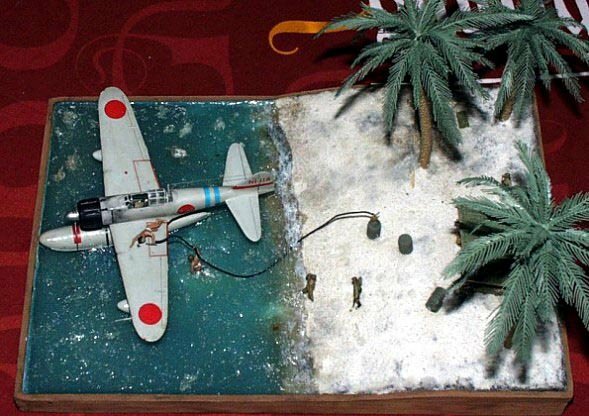 This diorama in 1/72 scale represents Japanese A6M2N ”Rufe” seaplane going to be refueled. 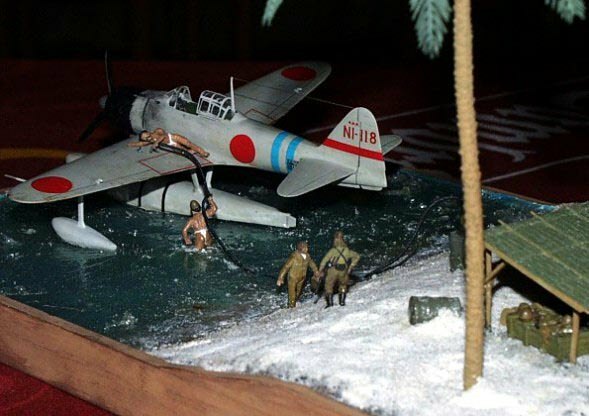 The inspiration to build such a diorama came from the scanned photos sent to me by Joern Leckscheid specialist on WWII Japan Air Force in scale 1/72. 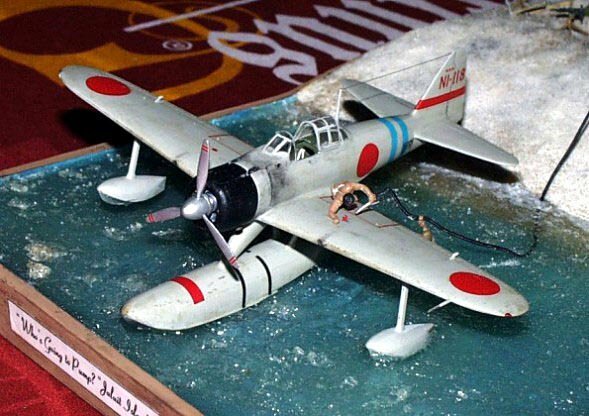 The pilot is taken from USAF Personnel set by Airfix but looks perfect in his Japanese role here. 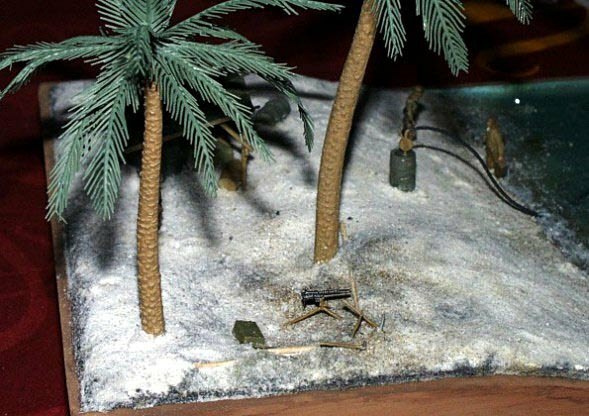 The nearly naked figures are modified Gaul Warriors by Italery! 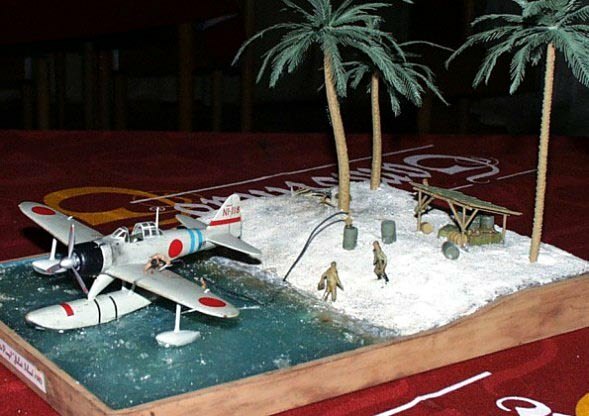 The other Japanese soldiers on the beach are by Esci. 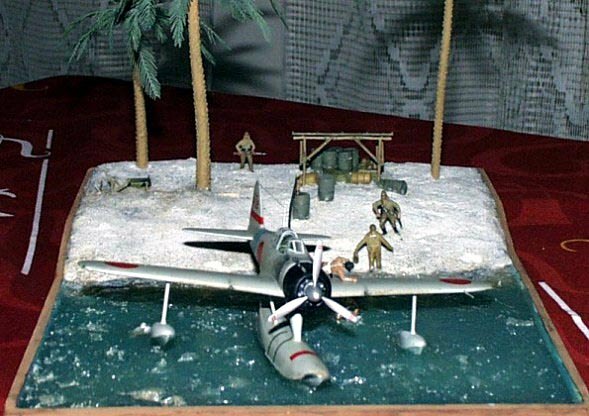 All photos below have been taken by Sandman during model competition in Zamberk (Czech Republic) in November 2000.